Most law schools evaluate a student’s academic performance based on their grade point average (gpa). A grade point average measures a student’s academic achievement over the course of their degree usually out of a scale of 4.0. This number is a critical indicator for law schools as, together with the LSAT score, it is used to predict future performance in law school. Students are therefore encouraged to study a field of interest where they will both earn high grades and that will also improve writing, speaking, critical thinking and problem solving skills. Another important factor in law school admissions is the Law School Admission Test (LSAT). 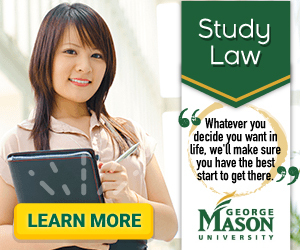 For many, this is the first step toward a career in law. Many students will take the LSAT exam if they plan to continue to law school immediately after graduating with their Bachelor’s degree. Other students may join the work force before they determine that a career in law is right for them. In either case, the true first step to becoming an attorney is sitting for the LSAT exam. Law schools use the LSAT as an important indicator of a student’s potential for success in law school. The LSAT exam is a standardized test administered four times a year testing student’s analytical and logical reasoning skills. Lasting half a day, students complete five sections of multiple choice questions along with a written section that is sent directly to law schools unscored. Many students spend months prior to the exam taking sample tests and using external resources like tutors and prep classes to prepare themselves. It is important for students to do well since all results, even if students retake the exam, will be sent to admissions for review. Additionally, under normal circumstances, individuals cannot take the LSAT more than three times in any two-year period so it is important to come to the testing center prepared. Applying to law school in the US is not an easy process! Law school selection alone can be difficult. The ABA recognizes over 200 accredited institutions in the US including private law schools, public law schools, law schools affiliated with larger colleges/universities, and even independent law schools. Once your application has been evaluated, you may just be lucky enough to receive a welcome letter in the mail! If you are accepted to law school, it’s time for you to mentally prepare. Many students say that law school is a difficult challenge, especially in the first year where you are adjusting to a new, academically challenging schedule and environment. Students are typically referred to as 1Ls in their first year of law school, 2Ls in their second year of law school, and finally 3Ls in their third year of law school. Students can expect to take courses covering Constitutional law, civil procedure, contracts, evidence, criminal law, torts, legal writing and research, and property just to name a few courses. Most 1Ls have a set curriculum that is developed by the school to provide students the exposure they need. At the same time, the first year also serves to lay the foundation of skills as students continue their legal education in the US. 2Ls and 3Ls are usually able to choose their own classes based on their interest of legal study such as contract law, tax law, international law, etc. Schools generally vary in curriculum so it is important to investigate classes, teaching methods, evaluation, and more, even before you submit your application. Many law classes focus on analyzing legal issues, reading cases, identifying the facts, and finally applying law to these facts. Finally, once you successfully complete your 3-year law school, you will be issued your Juris Doctor degree (J.D.) which will allow you to sit for the bar examination. The bar examination in the United States is required before students begin practicing law. In order to receive a license, students must contact the state board of bar examiners to schedule a time to sit for the test. These licenses provide authorization to practice in that state alone. Students who intend to practice in multiple US states investigate which other US states will allow them to “waive” into their state bar – no one wants to sit for multiple state bar exams if it can be avoided! Once students have determined the state in which they’d like to practice, the next step is to register for the state administered bar exam. Most bar exams are approximately two days long and a few states have three day exams. There are multiple choice and essay questions designed to test knowledge on general legal principles across a wide variety of topics, and knowledge of state-specific laws and principles. Most students participate in a bar review or other bar exam review course to prepare for this test. The bar examination is the final step in your legal education in the US before you begin practicing law in your state.